North Shore Music Theatre in Beverly is back in business with a 2010 musical season filled with both classic and contemporary Broadway favorites. The new NSMT is under the leadership and ownership of Bill Hanney. Experienced in theater management, Hanney is also the owner/producer of Theatre By The Sea in Rhode Island, a 500 seat summer theatre now in it's 4th season under his leadership. Hanney is also the owner/operator of Entertainment Cinemas, a chain of movie theatres throughout New England. Long time Artistic Director of the Cape Playhouse, Evans Haile will be joining NSMT as Producing Artistic Director, bringing more than 25 years of professional producing and artistic experience to the North Shore. 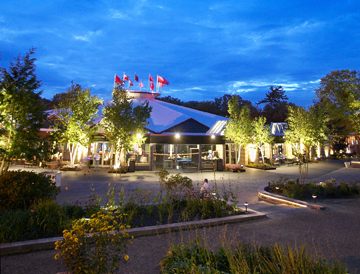 Celebrating more than 80 seasons, the Cape Playhouse is proud to rank as "America's Oldest Professional Summer Theatre." Hanney commented, "My goal for NSMT in 2010 is to create a season that celebrates musical theater and delivers the excellent quality and intimate atmosphere that audiences expect from NSMT. While I am dedicated to maintaining a high level of artistic quality, I am equally dedicated to keeping a close eye on the business to ensure NSMT's long term success. I want audiences to enjoy their experience at the new NSMT and come back for more!" The 2010 Musical Season includes: "Gypsy," July 6 - 25; "Joseph & The Amazing Technicolor Dreamcoat," August 3 - 22; "Dirty Rotten Scoundrels," September 21 - October 10; and "A Chorus Line," November 2 - 21. In addition to the four show subscription series, NSMT will also bring back its holiday favorite, "A Christmas Carol," directed by Jon Kimbell, from December 3 - December 23. 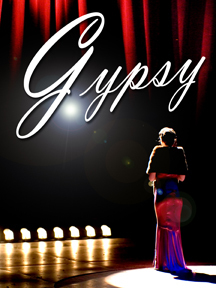 The 2010 season kicks off with "Gypsy," inspired by the life of the burlesque star Gypsy Rose Lee. This musical fable is all about the quintessential stage mother who pushes her two daughters into show business to fulfill dreams of stardom she never achieved herself. The Jule Styne-Stephen Sondheim score is packed with iconic show tunes including "Let Me Entertain You," "Everything's Coming Up Roses," "All I Need is the Girl," and "Together (Wherever We Go)." Vicki Lewis, star of television's "News Radio" and Broadway's "Chicago" and "Damn Yankees," stars as Mamma Rose. 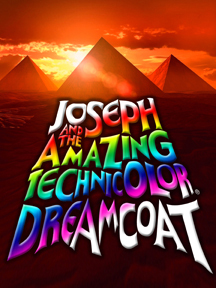 The summer continues with "Joseph & The Amazing Technicolor Dreamcoat," Andrew Lloyd Webber and Tim Rice's entertaining family musical retelling the biblical story of Joseph, his devoted father, jealous brothers, and his incredible series of adventures. Filled with colorful costumes and energetic musical numbers, the story unfolds through a variety of musical styles including everything from country to calypso to rock 'n' roll. The 2001 production of "Joseph" was one of the most successful shows in NSMT history. This season's production will feature a large children's chorus made up of many local young performing artists. "American Idol" finalist Anthony Fedorov stars in this "Any Dream Will Do" musical. 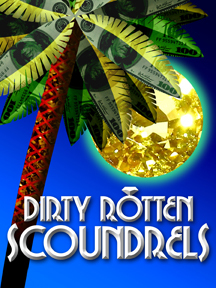 "Dirty Rotten Scoundrels" arrives in Beverly in September. Based on the hit 1988 movie starring Steve Martin and Michael Caine, this satirical musical follows two very different con artists working their schemes on the French Riviera. The high society hijinks result in a friendly competition to see who can swindle an innocent heiress out of her fortune first. The subscription season concludes with the ultimate celebration of the American Musical, "A Chorus Line," as audiences sit in on an audition and share in the story of 17 dancers competing for a few coveted spots in the chorus of a Broadway musical. Through the process, the dancers bare their souls while sharing stories of their childhood, ambitions, fears, and experiences in show business. This groundbreaking Pulitzer Prize-winning musical includes such hits as "God I Hope I Get It," "At The Ballet" and "What I Did For Love." The holiday season marks the return of North Shore's production of "A Christmas Carol," conceived, staged and adapted from the Charles Dickens original by former longtime NSMT Artistic Director Jon Kimbell, assisted by David James and David Zoffoli. 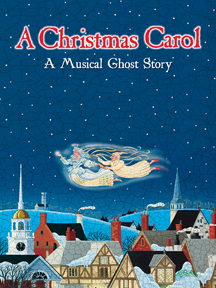 Original music augmenting the classic tale of Ebenezer Scrooge is by Alby Potts, James Woodland and Brian Cimmet, with original and adapted lyrics by Kimbell. North Shore Music Theatre also plans to bring celebrity concerts and children's programming back to the famous theater-in-the-round as well. Visit www.nsmt.org for news, and sign up for the email club to receive updates and announcements throughout the year. For tickets, or for more information, call the box office at 978-232-7200 or visit www.nsmt.org.